Elegant Wedding Shoes for a Flat-Footed Bigfoot Bride! 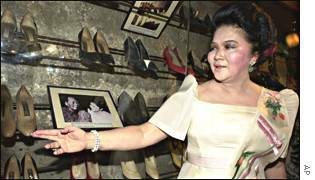 The Imelda Marcos gene has bypassed me completely. I'm a woman who finds no pleasure in shoe shopping. That's an understatement. I hate it! Why? I have flat, unusually wide, unattractive feet that don't fit into the majority of shoes on sale in high street stores. My stiletto high heel-wearing days ended in my 20s when I swapped elegance and style for trainers and flipflops. So where was I going to find an elegant pair of size 7, EEE width-fitting, wedding-compatible high heels for my wedding day that I could actually fit into and walk down the aisle in? AND.... my wedding dress was RED so where would I find red wedding shoes just the right shade to match my dress? 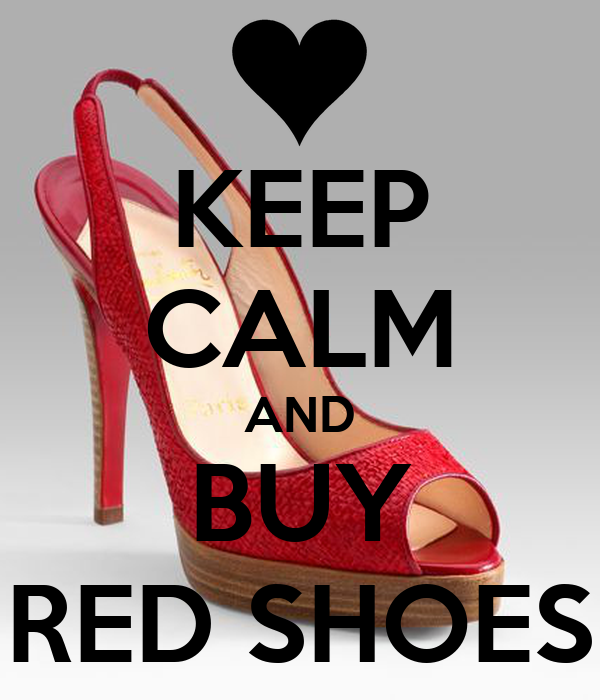 My first step was to get over my shoe-shopping phobia and start visiting shoe shops. I tried them all. Every high street outlet from Faith to Kurt Geiger. I tried old-lady favourites Clarks and Hotters - where at least I found shoes I could wedge my trotters into but couldn't find anything that could loosely be termed a 'wedding slipper'. I spent entire days visiting every shoe shop along Oxford Street, in Westfield Stratford, at Blue Water and in Bromley. On days out I looked in shop windows and on market stalls. I scoured the dodgy shoe racks in charity shops and vintage outlets. Nothing. I consulted friends and asked if they thought it was feasible to walk down the aisle barefoot? No. I wasn't getting married on a beach. I had to have shoes and I had to have something fabulous with a heel or my long dress wouldn't look right. It felt slightly ridiculous to start feeling anxiety and stress levels rising over a pair of shoes for one day. This wasn't part of the fairytale wedding planning experience! With only a couple of weeks to go to the big day I put my faith in Google and typed "Elegant" "shoes" and "wide feet" into the search bar. Up popped The Shoe Tailor, an online catalogue of shoes for those with wide and difficult to fit feet!! They even catered for style-conscious ladies with a foot width of EEEEEE!!! Maybe this was Cinderella's issue. Maybe the reason the glass slipper fit her foot alone was because she had an "EEEEEE" width foot! If the width of her feet didn't put off her prince, it wouldn't put off mine either. The Shoe Tailor had a lovely choice of elegant sandals and strappy party shoes, high heels, flats, ballet pumps, Mary-Jane's, stilletos, boots, sling-backs, wedges.... and all available to fit me. Who knew shoe shopping could be so much fun? I ordered 4 pairs on home approval to try with my dress, a gold pair, a silver pair, a diamante pair and a red and diamante pair. They were all fantastic but the red and diamante pair clinched it, and they were only £20. All that was left to do now was practice walking in heels again! I suppose it is an obvious downside. If you don’t meet your special chosen one until you are in your 40s then chances are that some of your special loved ones will either have died before your big day or will be slipping away while you endure a living grief. James and I both had our own types of grief to deal with in the run up to our wedding day. I am so thankful that I had the chance to meet his mother. I thought she was fantastic and we liked each other. The first time James brought me home to meet his family his mother greeted me at the front door with a big smile and said “I’ve been dying to meet you. I’ve heard so much about you”. I was ushered into their welcoming home, champagne was opened and his Mum and sister presented me with platters of new wedding canapés to taste that they were trying out while his Dad, having heard I drink red wine, went to the cellar to fetch a bottle he thought I’d like. I loved it! Her business was catering for weddings and she was an amazing hostess and cook. I loved her Sunday lunch family gatherings and occasionally when we’d drop by she’d give us some surplus fishcakes she’d made or an old dinner service that she no longer required but knew we could use or a thoughtful present. She told me how pleased she was that James and I had met and she could see that we made each other happy. We later found out that her Sunday evening phone calls to her family and friends were full of news about us and she shared with them how thrilled she was that we had found one another. We had been together less than a year when his Mum became ill and before we could say ‘pancreatic cancer’ she died. It was two days before Christmas. Her absence was felt in all our celebrations. When James proposed to me (in Salzburg) he felt a wave of sadness that we couldn't call her and tell her. She would have been delighted, especially as Prince William and Kate Middleton got engaged the same weekend. She loved a Royal Wedding! When we moved into our first house together, his Mum would have been so thrilled. When we struggled with the details of planning a wedding on a small budget, his Mum would have been able to advise us. She had catered weddings for 40 years. She'd seen it all. Nobody knew weddings like she did. When I became overwhelmed with my parents needs in the run up to the wedding James would often say, “if Mum was alive, she’d have driven down to meet them and would have helped”. In the weeks running up to the wedding, a cloud of sadness descended upon him. He put off writing his wedding speech as he wanted to mention his late mother but putting pen to paper was proving difficult and emotional. Eventually he wrote his speech but his concern then became that he wouldn't be able to get the words out. I told him that this wouldn’t matter. Weddings are emotional days and tears are expected but this wasn’t what he wanted to hear. He needed to get through his speech and say exactly what he wanted, to honour his late mother and include her in our day without becoming a wreck or losing his voice. I got it. Maybe it’s unconventional, a groom rehearsing his wedding speech on his bride, but he tried it out on me several times until he felt confident that he could stand up in front of our wedding guests, mention his mother, and toast her. I cried the first time I heard his speech. I cried the second time I heard it too. Even when he went upstairs and I stayed downstairs to get him to practice projecting his voice, I still cried. His words gained impact each time I heard them and it was a wonderful speech. We still missed his Mum terribly on our wedding day. She would have loved it. We all toasted her and acknowledged that even though it was an amazing and happy day, there was still room to be sad that she wasn’t there to celebrate it with us. I wanted a Hollywood-red-carpet-inspired red velvet long-sleeved wedding dress that would flatter my 5 foot 4 inch UK size 20 frame. My budget was under £500. I thought that the search for my wedding dress would be one of the most enjoyable parts of being a bride-to-be but I soon found it added to the stresses of the wedding planning process and was an experience that was demotivating, demoralising and exasperating. My Mum, being a full-time carer for my Dad, a wheelchair-bound dementia sufferer, was not able to share much of the wedding planning with me. She couldn't visit venues with me or come to wedding fairs. Mum desperately wanted to come wedding dress shopping with me but this was logistically tricky. We only had a two hour window on a Wednesday to do this when my Dad was at a weekly Day Care Centre. The only possible option was for us to go to the two little wedding dress shops in my parents’ town. Judging from the dresses in their windows, I didn’t think I was going to find my dress there but it was important that Mum had the opportunity to share this experience with me as it was a mother daughter rite of passage. And here the challenges began. 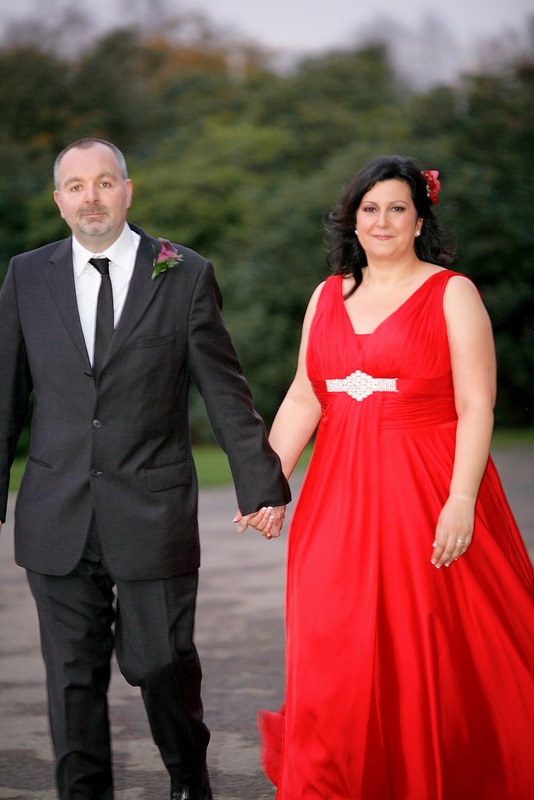 The first wedding dress shop did not stock any sample dress above a UK size 12. If I liked any of the dresses in this shop, I would have to close my eyes and use my vivid imagination to decide if they would suit me or not! Their dresses also started at £3,000 – way beyond my budget. The second wedding dress shop stocked a budget range of wedding dresses called FABULESS by Alfred Angelo up to UK size 32. 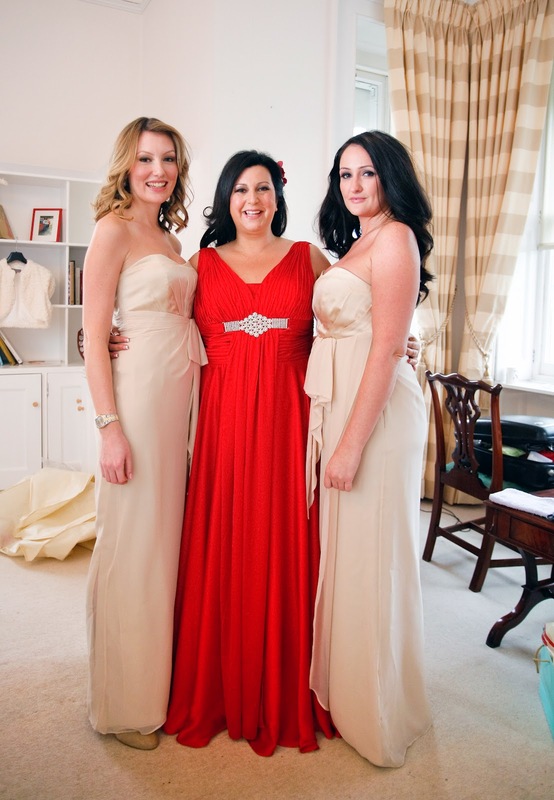 These dresses were around the £500 mark and the shop had some in stock in larger sizes. I could at least try a few on and not start hyperventilating at the cost. They also recommended trying on some bridesmaids dresses and prom dresses which could be ordered in red. This was promising! I stood on the wooden block in front of the full length mirror in my underwear and felt very self-conscious. There wasn’t one dress in the shop with sleeves, they were all strapless. I tried on several dresses – some in the sale, some in the budget range and some red bridesmaid dresses. There wasn’t one dress I liked or felt beautiful in and there were a couple that I couldn’t get over my head. I even got stuck in one dress and it took about 5 minutes to get me out of it! I thought they all looked hideous but didn’t say so as I didn't want to spoil the occasion for Mum. To cover my arms I tried lace and marabou feather boleros over the dresses. I tried veils and tiaras….. the reflection looking back at me wasn’t me at all but a bride that I didn’t recognise, wearing something she looked uncomfortable in. I also learned that I had ‘left it quite late’ to order my wedding dress. It seems that most wedding dress shops need more than 5 months to order a bride’s dress and have it in the store in time to be altered and fitted for the big day. So not only did I have the challenge of a small (by wedding dress standards) budget, and a large (by wedding dress standards) size but I now basically had to make my mind up in the next fortnight if I was going to order a dress from a wedding dress shop! A custom made dress was out of the question as this would be too expensive. I started trawling the internet for red ball gowns, prom dresses, bridesmaid dresses but just couldn’t find anything that was red and velvet and long-sleeved and what I wanted. I started to compromise and just looked for red and velvet or red and long-sleeved. I started to look at other colours and fabrics to see if the muse took me and I found a couple of dresses online that I liked but they still weren’t what I had envisaged. A friend recommended eBay and a dress made in China for a fraction of the usual price. I short-listed a few – none of which were quite what I had in mind and I felt waves of anxiety that I would order the dress and it would arrive too small, the fabric would look cheap, and it wouldn't resemble the picture on eBay or that it would be exactly like the picture on eBay but so completely unflattering on me. I just couldn’t order a dress without trying it on. I started to wake up at 4.00 am every morning - the anxiety hour. I was reminded of a friend of mine who had anxiety dreams before her wedding in which she walked down the aisle wrapped in a duvet with unwashed hair!! Another friend also told me that she had had hideous experiences with snooty wedding dress stylists and how one friend, who had recently lost her mother, had been told by a wedding dress shop owner to come back with her mother as she shouldn’t be wedding dress shopping without her! Panic was starting to set in as the whole experience started to feel like an ordeal. I found a website that made medieval wedding dresses (within budget) and could make one in red velvet with sleeves. But a medieval look really wasn’t what I wanted and it really wouldn’t look right beside my Beloved who was going to be dressed in a dark suit, white shirt and black tie. We would look like Don Draper and Anne Boleyn! Not the style I was going for! I checked out vintage bridal wear, second-hand bridal wear and even discovered Oxfam and Barnardos have specialist bridal shops! Fantastic! But they still didn't have that stunning red gown I was after and very little in stock that I could get into. Beloved and I had planned a day out at Bluewater Shopping Centre in Kent so I looked to see if there were any wedding dress shops there. There was one. Oriental Pearl. I booked myself a wedding dress styling and awoke early that morning, 4.00 am, having had a humiliating bad dream involving the fire brigade and me stuck inside a large rubber tyre! Oriental Pearl had a quite dazzling array of prom dresses and ball gowns so I felt more confident that I may find something red but there was no velvet in sight. A friendly lady called Coral was my stylist and I explained that although I was wedding dress shopping, I really wanted something red. “No problem”, she said “you can have any dress in this shop made in red”. 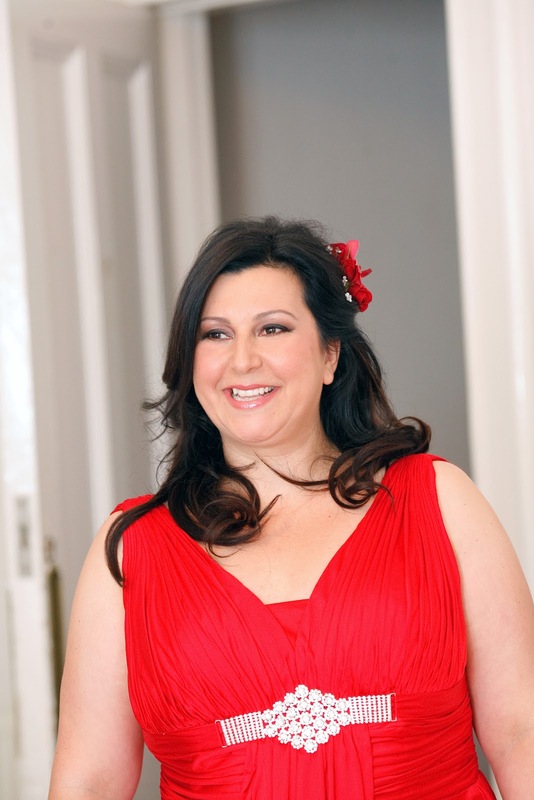 I tried on several wedding dresses – though none bigger than a size 16! I tried on 2 dresses that I LOVED. One was £850 and the other was £269! And guess what…. The £269 dress looked the best! The only problem was, the sample I tried on wasn’t my size and was white. If I decided to go for it I still needed to use my imagination to picture it in red and how it would fit in my size. There was an element of risk as I wouldn’t get it till 4 weeks before the big day so if it arrived and it was hideous, I wouldn’t have any alternative. But what choice did I have? I bought it. Coral measured me, took me through the fabric colour swatches, and I requested a 10 inch train be added. The price started to go up. As I was ordering in a “plus size” that meant there was an additional charge, a sort of ‘big girl tax’! The train added more to it but there was no additional charge for having it made in red. The dress would be made in China and shipped to Oriental Pearl for my collection at the end of October for the sum of £349. Ok, so it didn’t have sleeves and it wasn’t velvet, but it was within my budget, it was RED and it was FABULOUS!!! Introduction - How I Met My Husband And Why I Was A "Challenged Bride"
In 1998 I was a single 30 year old enjoying my life in London. My good friend Sharon was going out with a very nice man called Simon. I liked Simon, he was an actor, funny, easy-going, a good raconteur and easy to spend time with when we were all out together. Sharon returned from a family dinner with Simon and told me what a lovely time she'd had AND that Simon had a brother who she thought would be PERFECT for me. James was funny, she said, a great raconteur, easy-going and easy to spend time with. Would I like to be fixed up for a date with him? Of course, I said. I had nothing to lose. Great, said Sharon. Great idea, said Simon..... but Simon never mentioned me to his brother and no blind date was arranged. If this was a film, we'd have a caption screen here that reads "10 Years Later..."
During the intervening 10 years Sharon parted company from Simon but they stayed good pals. James met, married and divorced someone else and I had several relationships including a long distance engagement with a man in Tunisia. It wasn't until a few weeks before my 40th birthday, at a time when I had started to accept that "Mr Right" only existed in Jane Austen novels that Simon's brother was mentioned again. Sharon had been to see Simon in a West End play. It just so happened that his brother was in the audience that night too. Sharon took one look at him (only the second time she'd ever seen him) and still believed we would make a good match but this time she didn't wait for Simon to introduce us. She found James on Facebook, introduced us and we soon realised how our lives had been lived in parallel, how much we had in common and how excited we were to meet. One week after my 40th birthday we had our first proper date. He says that for him it was love at first sight. For me... well... by our third date I realised what a special man I'd met. We were both 40, that meant we had 80 years of life experience between us so no game playing, no withholding feelings from one another, no sugar coating the bad experiences in our past; just honesty, openness, a lot of love and a promise not to take one another for granted. He moved in with me 5 months later and proposed to me in Salzburg. How to have a tasteful wedding on a no taste budget? How to find the right dress when a) I'm a plus size woman and wedding dress samples seem to all be size 10 b) my dress taste does not conform to the offerings in wedding dress shops c) I want a beautiful red velvet wedding dress with sleeves d) miniscule budget e) is it too much to ask that I actually look fabulous on my wedding day? How to console a grieving groom whose mother (a wedding caterer) died the previous Christmas and whose loss is felt during every step of the wedding planning process? How to sensitively include both my mothers in the wedding day (adoptive mother and birth mother)? How to ensure that we find a venue and plan a day that includes my father as a) he is wheelchair bound b) has dementia and yells and cries when he gets emotional or confused c) won't be able to do the traditional father-of-the-bride things such as walking me down the aisle, giving me away, speech etc d) how will we cope if he shouts throughout the ceremony and especially at the "Speak now or forever hold your peace" part? How to only invite the people that we love the most and really want to celebrate our special day with and not some people who expect to be invited? How to engage a groom in the venue selection and planning of a wedding when a) it's his second wedding b) he had no say in the planning of the previous wedding c) he states he is only interested in the music and d) he thinks the detail and planning is my domain and he is just happy to turn up on the day at the allotted time?! How to cope with the fact that everyone has an opinion about what our wedding should be like! I'm looking forward to sharing all the challenges I met and how I coped with them. Some of the challenges are universal but some I found unique and difficult to deal with. At times I couldn't find any help or comfort during my internet research or from talking to friends and colleagues. I'd never met anyone adopted who had had both their adoptive mother and birth mother at their wedding. I didn't know anyone whose father was suffering with dementia on their wedding day and who was fearful that walking up the aisle and hearing a chorus of "Shut up! Shut up! I said no, I said no" from the front of the ceremony room was likely to make them lose it and cry off all their fabulous wedding day make up! 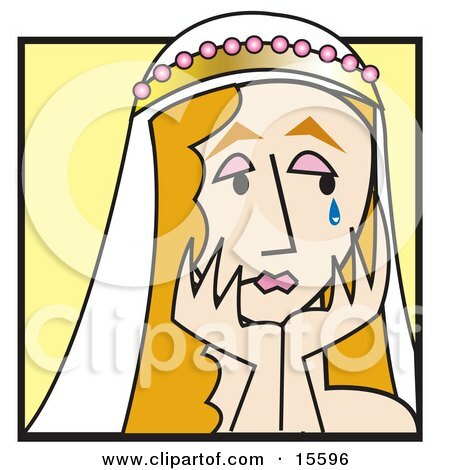 But there must be other Challenged Brides out there so hopefully my story, and others, will help Challenged-Brides-To-Be to get through it all and have the wonderful wedding day they deserve!